Two men who were arrested in connection with a fatal hit and run in Sussex have been released on bail. Sussex Police said both men handed themselves in on Wednesday (January 11), in relation to a collision in Brighton at around 10pm on Tuesday (January 10). A 33-year-old man and a 35-year-old man, both from Brighton, were arrested on suspicion of causing death by dangerous driving, drink driving, failing to stop for police and failing to report an accident. They have both been bailed for all the offences until February 27 while investigations continue. 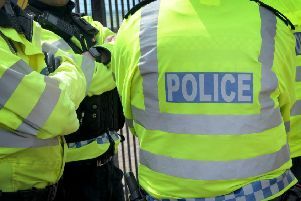 Police are still working to trace the next of kin of the victim, a 78-year-old local man, who died at the scene. The collision took place at the junction of Old Steine and St James’s Road in Brighton. The Independent Police Complaints Commission is independently investigating the circumstances of the police pursuit.